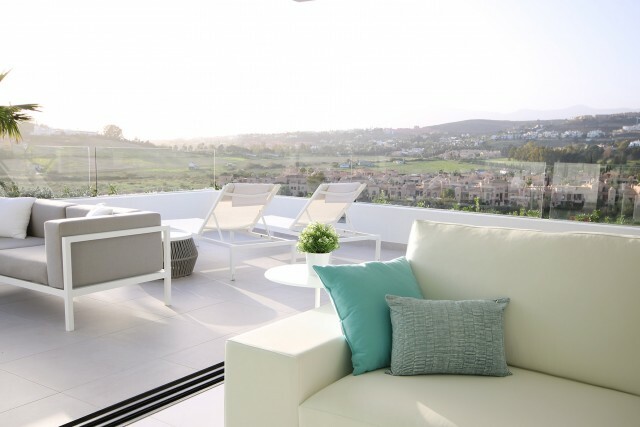 Newly built apartments, contemporary and comfortable on Atalaya golf Estepona - Marbella. This is the third phase of this very successful development. 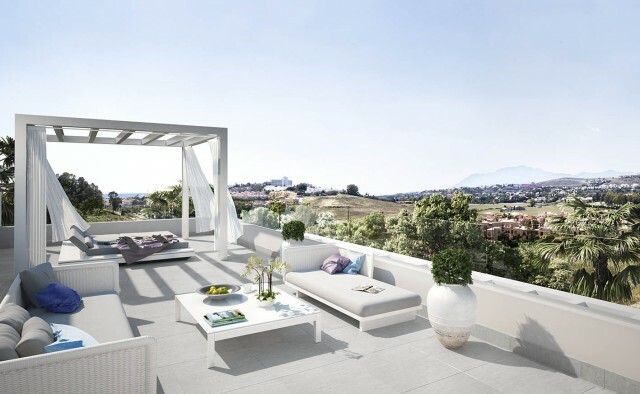 A beautiful design where each apartment has a large terrace of aproox. 80m2. Spacious, views and high-quality finishisings are key features. Cataleya phase 3 (also the last phase so last chance to buy here) consists of 46 luxury apartments of 2, 3 and 4 bedrooms on the ground floor, first floor and penthouses. Beautiful communal gardens, a heated outdoor pool and a gym. Security is monitored with cameras around the closed domain. 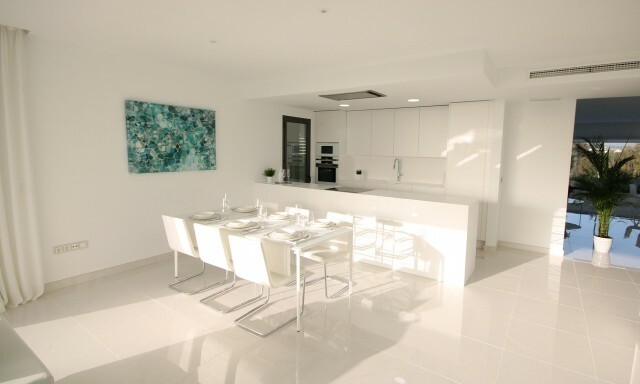 Each apartment includes a high-quality kitchen with Krion worktop with seamlessly integrated sink and splash plate. Worktop and back wall are one piece. The kitchen is equipped with all the equipment that is desirable, obviously beautifully integrated. The living room has a floor-to-ceiling sliding door which opens as wide as possible. As a result, living room and terrace unite. The floor is provided with extra-large floor tiles throughout the apartment. 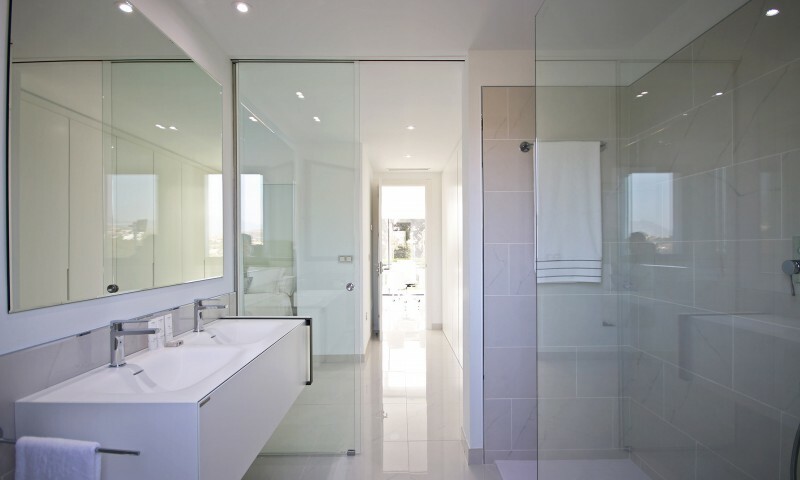 Each bathroom is equipped with a shower or bath, toilet and sink with the Krios worktop as in the kitchen. A rain shower is included as standard. 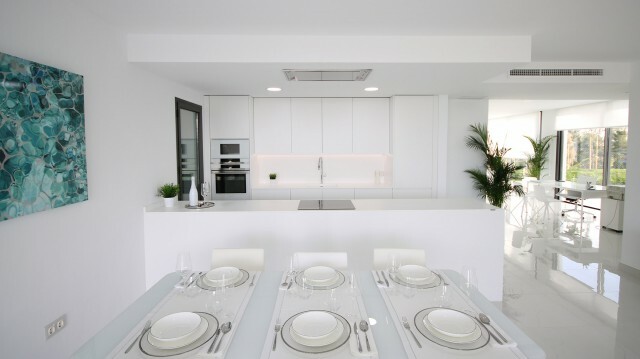 The climate remains comfortabel, each home is equipped with energy-efficient floor heating and air conditioning. Temperature is adjustable separately per room, on the digital thermostat or the domotics system on your smartphone or tablet. Each apartment has at least 1 parking space and a storage room. The location at Atalaya golf, within walking distance to the clubhouse is excellent. By car you can reach supermarket and various restaurants in 2 minutes. The nearest town is the lively San Pedro. Marbella and Puerto Banus, and Estepona are easily accessible by car. Malaga Airport is about a 45-minute drive. Feel free to contact us to visit this beautiful project before it's sold out. Phase 1 and Phase 2 of Cataleya were sold out within 12 months. Due to our good relationship with this developer, you are at the right address for an apartment in Cataleya. Prices do not include VAT, stampduty, notary and landregistry.